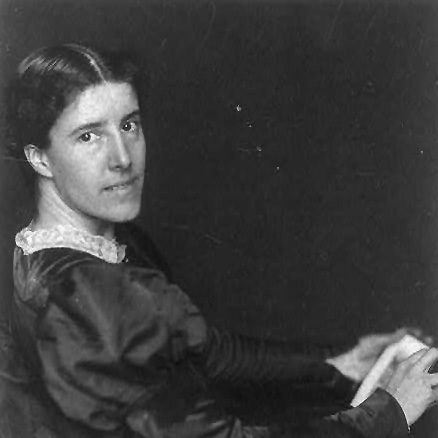 Charlotte Perkins Gilman’s “The Yellow Wallpaper” is preoccupied above all with the secret and mysterious life of things. It’s concerned with the human and the non-human, and the surprisingly porous line between them. The narrator takes for granted that things have what she terms “expression.” Her only surprise is that, in the circumstances in which she finds herself, they turn out to be more alive than ever: “I never saw so much expression in an inanimate thing before, and we all know how much expression they have!” (3). Yet immediately after declaring that the liveliness of things is an open secret, that “we all know” that they have expression, she backtracks somewhat by suggesting that perhaps she is more attentive to their mysterious vitality than most: “I used to lie awake as a child and get more entertainment and terror out of blank walls and plain furniture than most children could find in a toy-store” (3). In part, then, the plot turns on this uncertainty: is the narrator a special case, abnormal, perhaps insane? Or is she simply telling us something we all know, to some extent or another: that things are more like us and we are more like things than we care to admit. Then there is a third possibility: that the “we” she invokes is general but not universal. It may be that there are some, particularly women, who can sympathize with things and know what it is to be treated as a thing. And that there are others, above all men, whose sense of subjectivity depends on marking (exaggerating?) their difference from things, and on asserting their superiority over the objects around them. From the outset of the story, the narrator has a sense that things are not quite right. The house that she and her husband are to rent for the summer is, she intuits, perhaps “haunted”–though she doesn’t want to say this outright, for fear she may be accused of “romantic felicity” (1). Is this her (supposed) problem, that she is too much of a romantic, too easily affected by her surroundings? Still, she “proudly” insists, as though to defy any such insinuations, that there is “something queer” about the place. But by contrast, her husband John won’t admit to any such intimation: he is “practical in the extreme [. . .] and he scoffs openly at any talk of things not to be felt and seen and put down in figures” (1). But is his problem perhaps that he in fact takes too little interest in what can be “felt and seen.” For we soon observe that the narrator focuses intently on the sensible, on her senses and sensation. For all her misgivings, she eagerly describes the house, for instance, and describes its garden as “delicious,” as though she could physically taste it. Her conviction that there is “something strange” is confirmed by her senses: “I can feel it.” Her husbands responds that what she “felt was a draught, and shut the window” (1). So begins the confinement. Encouraged to rest, forbidden from working or writing, stuck in a room with barred windows at the top of the house, the narrator becomes obsessed with the wallpaper that lines the limits of her seclusion. It provokes, from the start, intense feelings: “I never saw a worse paper in my life. [. . .] The color is repellent, almost revolting: a smouldering unclean yellow” (2). But equally, from the start, it is described as though it had a strange (if self-destructive) will of its own: its “lame uncertain curves [. . .] suddenly commit suicide–plunge off at outrageous angles, destroy themselves in unheard of contradictions” (2). Over time, the narrator elaborates on the contradictions that she perceives in the paper, perceiving faintly “a kind of sub-pattern in a different shade, a particularly irritating one, for you can only see it in certain lights, and not clearly then” (3). Eventually, she comes to conclude that “it is like a woman stooping down and creeping about the pattern. I don’t like it a bit” (5). And ultimately, the tensions in her own situation, that of a frustrated woman writer, hemmed in at all sides by a husband who dismisses her sensations as hysteria, come to parallel and merge with the strains that she perceives in the patterns around her. She tears at the paper, grasping at the presence she perceives within it: “I pulled and she shook, I shook and she pulled” (8). None of this is really about identification. The narrator has written herself into her surroundings, which in turn have opened up to her. It’s best to think of this as a production–better still, a co-production–of an expansive subjectivity immanent to the things of this world. Against the authoritative (and authoritarian) airs of her doctor husband, the narrator makes the whole world tremble and vibrate. And in the end, her particularity, her singularity, affects him, too, when he falls down in a faint upon entering the room that she has made her own by abolishing the distance between subject and object, human and inhuman. She has become part of it, and it finally becomes her. “I used to lie awake as a child and get more entertainment and terror out of blank walls and plain furniture than most children could find in a toy-store” (3). What do you think this says about the wallpaper? It seems to me that this sentence reveals the insignificance of both the object of the title of the title itself. It didn’t have to be a wallpaper–it could’ve been a doornob, a handkerchief, a window sill, a cracked roof, or any other seemingly mundane object. In other words, the narrator wasn’t driven insane by the wallpaper; she was insane before she even looked at it, and projected that insanity onto the object when she did. And isn’t that what insane people do? They see something that no one else sees, hear something that no one else hears, and feel something that no one else feels. They are called “insane” because their perception of reality is greatly detached from “normal” people’s, and regardless of what’s really there, all they can perceive is what their insanity dictates them to perceive. Kevin, I see what you’re saying. And I agree that it didn’t have to be the wallpaper: I think the point is that she had so little stimulation cooped up in the top room that it could have been almost anything. I’d also add that it could have been almost anyone. But perhaps the idea is that such confinement is especially torturous to someone who is more creative (note that she’s a writer) and/or more sensitive. And isn’t that what this quotation indicates: not that she was “insane” as a child, but just that she was a little bit out of the ordinary, a little more attentive to the things around her. The question is: at what point does that slight deviation from the norm become exacerbated and pathologized?